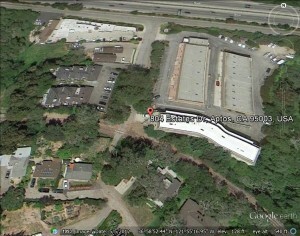 Announcing...Our New Office in Aptos! We have made it halfway through the summer and the news continues to roll out! You may remember that we announced Alliance's acquisition of Seacliff Environmental Services a few weeks ago, part of our recent growth spurt. Today we opened our new offices in Aptos, California for both Seacliff and Alliance Environmental Group. We are very excited to be moving into this 1600 square foot warehouse and office space and hope that it will help us serve our customers better than ever. You can read more about our recent acquisition of Seacliff as well as our acquisition of AMP Abatement in San Diego. ...or any of our many other residential and commercial services, please Contact Alliance today! Wendy Stackhouse is the Online Community Manager for Alliance Environmental Group and AirTek Indoor Air Solutions. We welcome your comments and questions! For more news and tips or to ask questions of our experts, Like us on Facebook and follow us on Twitter! For updates on indoor air challenges, Like us at AirTek on Facebook!